Gilderoy, this is going to be a fantastic film. 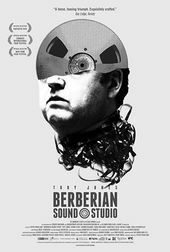 The opening of director Peter Strickland's 2012 film Berberian Sound Studio is actually the main title sequence for Il Vortice Equestre (The Equestrian Vortex), the fictional Italian Giallo movie that the film's central character (played by Toby Jones) finds himself working on. 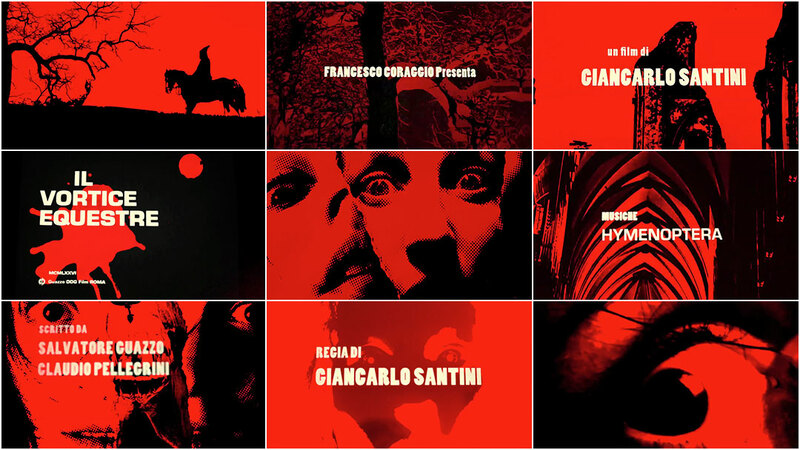 Designed by Julian House, the sequence echoes the style and tone of classic genre title sequences such as The Dunwich Horror and Blacula, films which would have been contemporary to the setting of Berberian Sound Studio. House would work with Strickland again on the opening of the 2014 film The Duke of Burgundy.